Kontias. 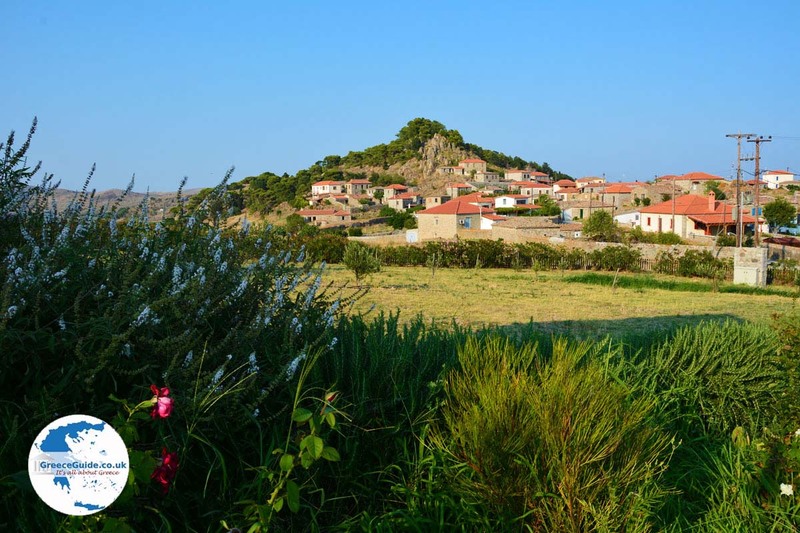 Kontias is one of the largest and most beautiful villages of the island of Lemnos. 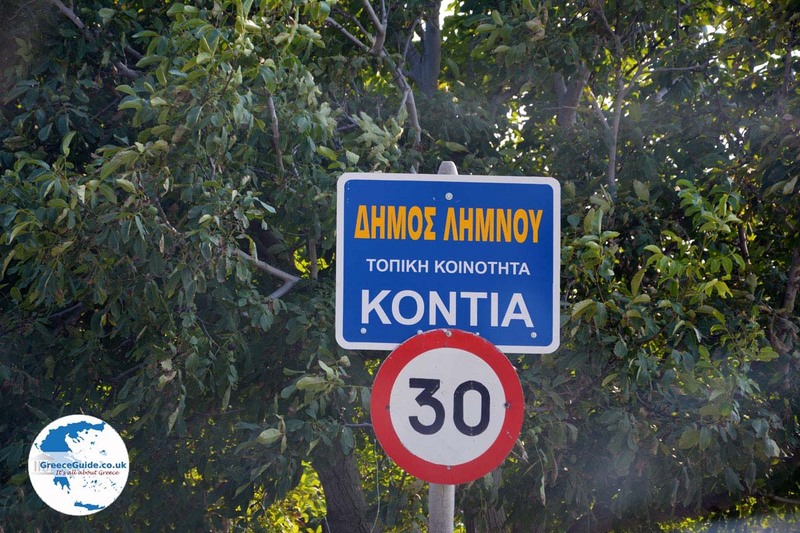 Kontias is located eleven kilometres east of Myrina, near the eponymous bay of Kontias. In the village live about 600 inhabitants. 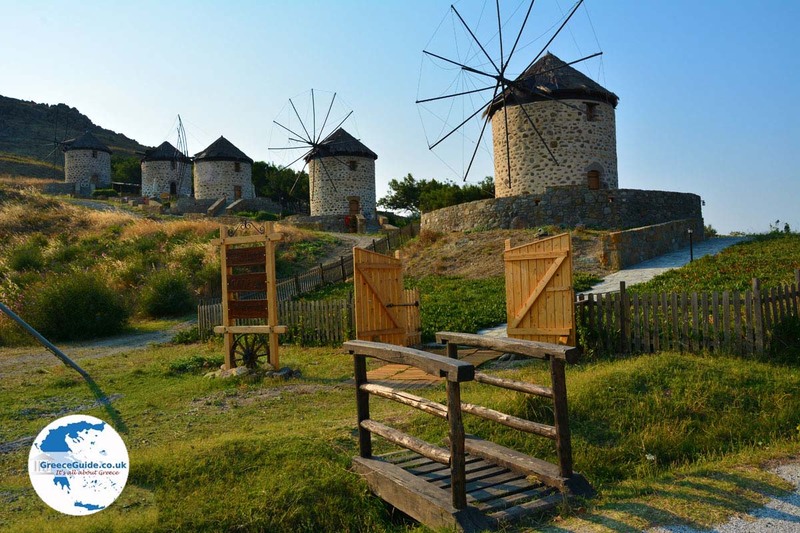 Kontias is a traditional village with beautiful windmills and cobbled streets. The houses in the village are built of Lemnian stone. The architectural style of the house resembles to the style of other Aegean islands and sometimes to that of the Mani in the Peloponnese. 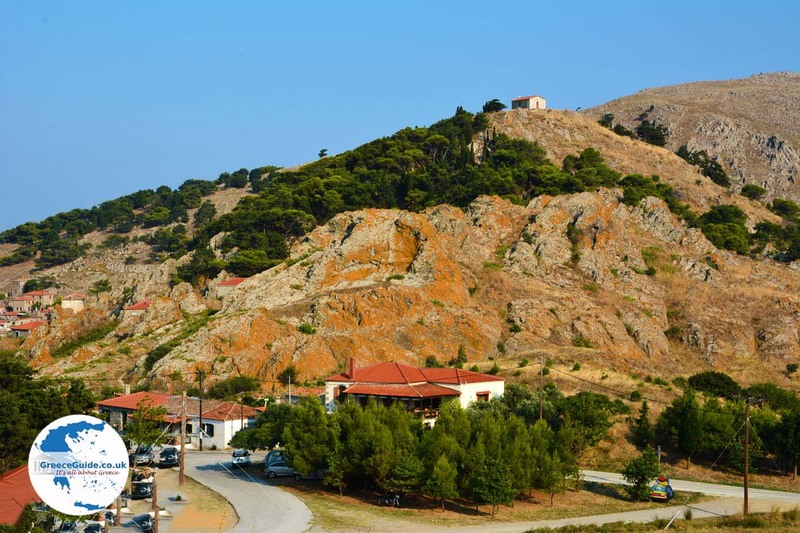 In the village stands the church of Agios Dimitrios which has a stone bell tower. This church was built at the end of the 19th century and is considered to be one of the prettiest on the island. 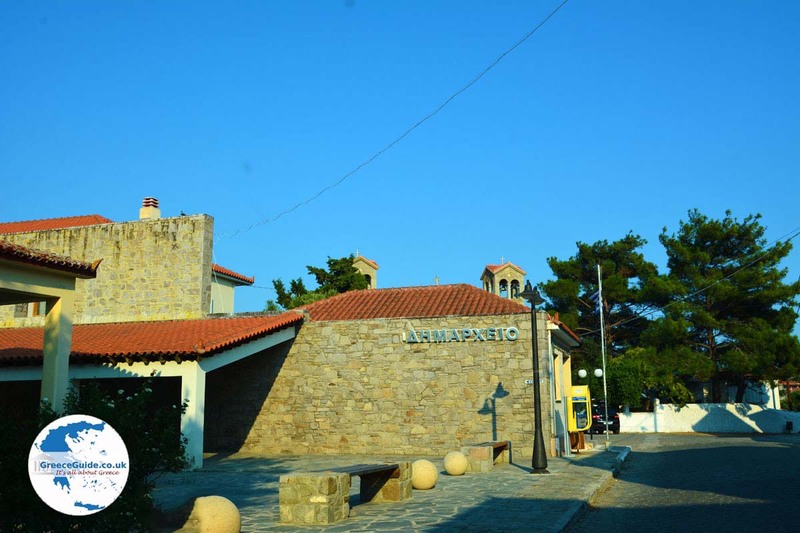 In Kontias is an art gallery where paintings are exposed by artists from the Balkans. 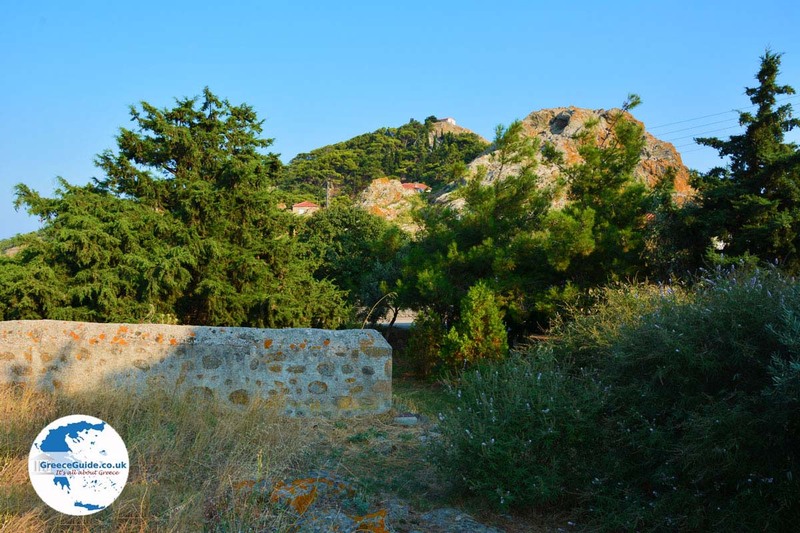 Near the village is the chapel of Agios Ioannis, which was built approximately in the year 1450. 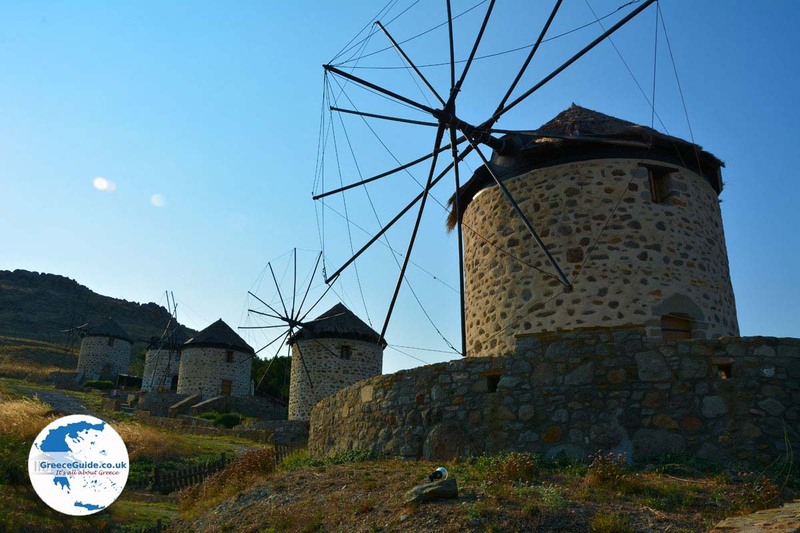 The famous windmills in Kontias were built at the end of the 19th century. 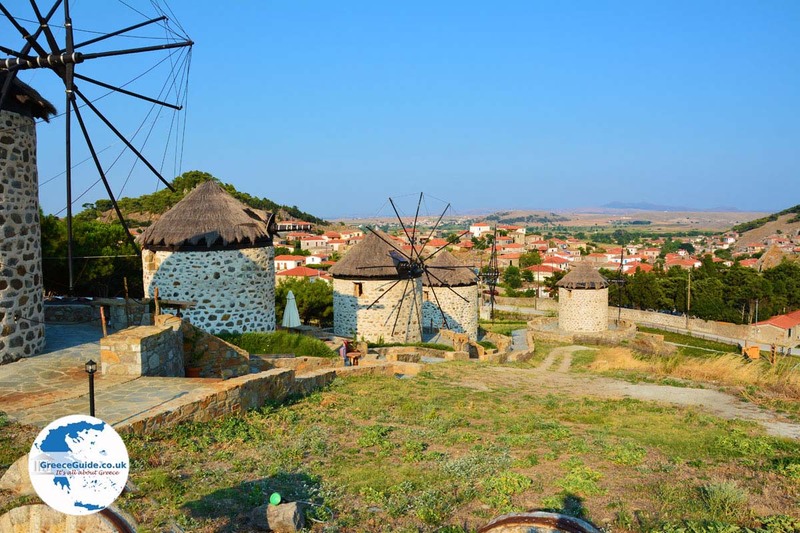 These windmills were used to grind the grain that was harvested in this region. 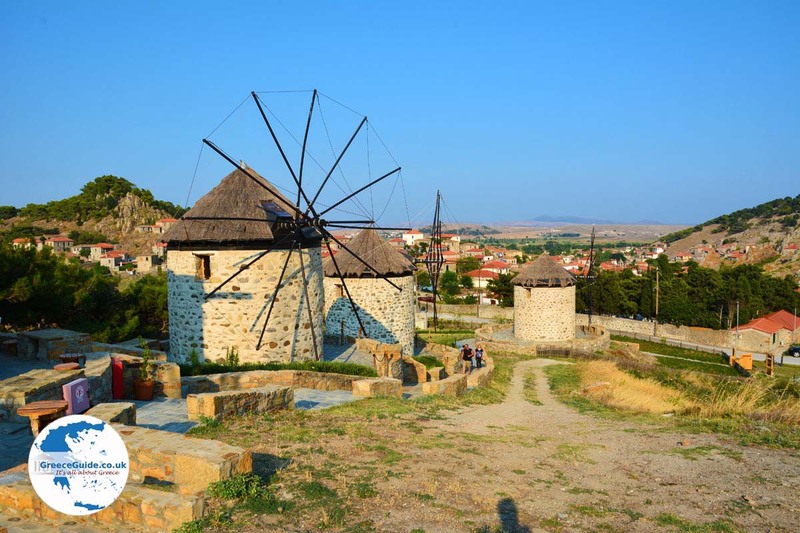 They have been restored in the recent decades and are the biggest attraction of the village. Coming from the village Thanos, you will first see two windmills on the slopes of a hill. These windmills are from Ms Maria, a woman I met when I was taking pictures of the mills. Her son lives in the Netherlands and is married to a Dutch woman. Behind the hill are five other windmills next to each other on the slopes of a hill. In the upper windmill is a cafeteria and a lovely terrace where you can order a drink and enjoy the view. Near Kontias are several nice beaches. One of the best beaches is the beach of Evgatis (or Nevgatis), three kilometres southwest of Kontias, in the direction to Thanos and Myrina. This beach is more than two kilometres long and is well organised. On the beach various water sports are possible and there are several cafeterias, beach bars and tavernas. A little further towards the peninsula, lies the beach "Diaporos" in the closed Bay of Kontias. In this bay you'll see a lot of boats, because it is safe here and because the wind doesn’t blow so hard. There are two tavernas where you especially can order fish. 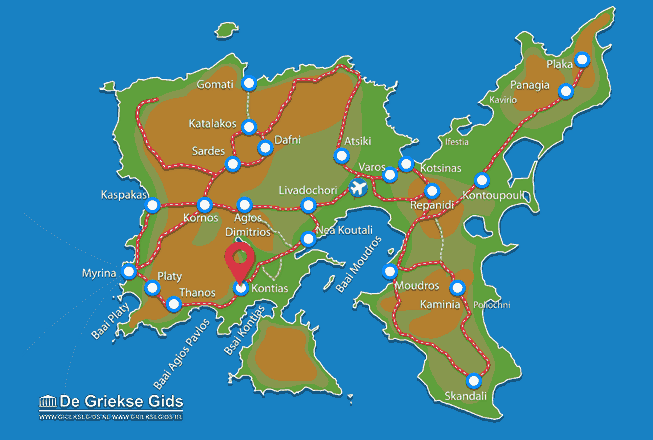 Lemnos: Where on the map is Kontias located?